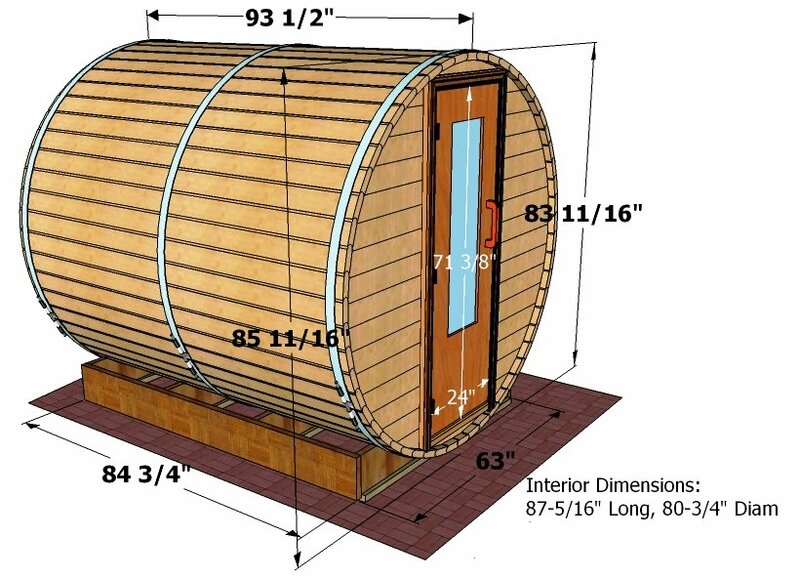 Complete 8 foot diameter by 8' long barrel sauna. 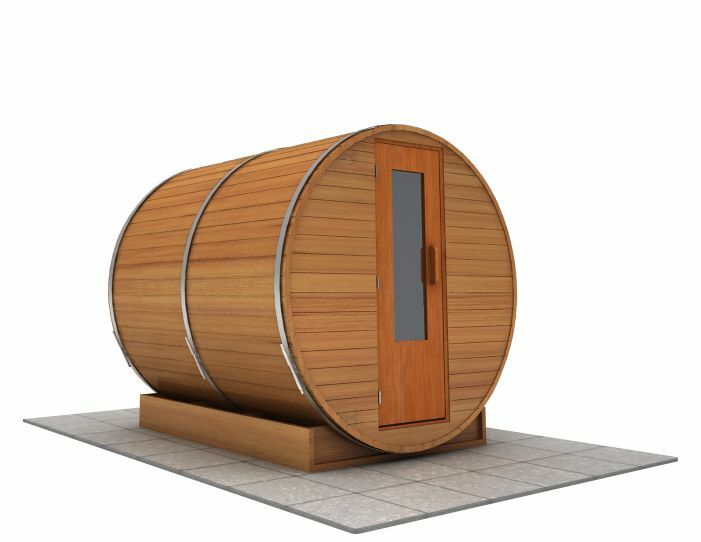 Ideal for 4 persons. Made with 100% clear western red cedar and includes 3 stainless steel straps.